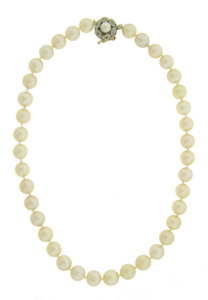 This spectacular strand of 8 1/2 mm cultured pearls is finished with an elegant diamond set clasp. A single luminous pearl rests in the center. 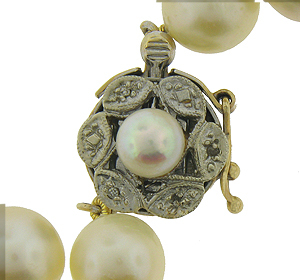 The clasp is fashioned of 14k yellow gold. 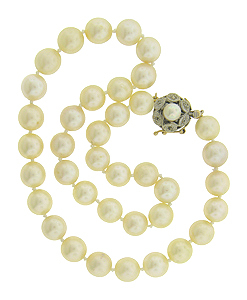 The pearls measure 16" in length. Circa: 1950.